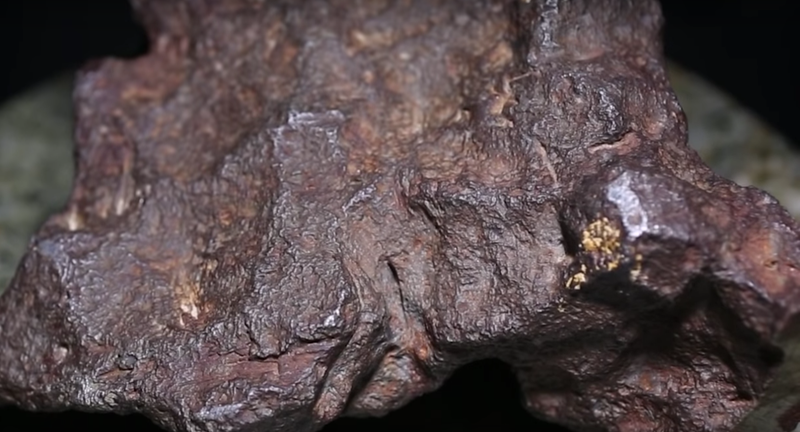 A bulbous 22-pound rock that was used for decades to prop open the door of a Michigan interior has been unmasked as a meteorite, now valued at $100,000. In January, the rock’s owner brought their doorstop to Central Michigan University geology professor Monaliza Sirbescu. Normally, it is Sirbescu’s job to tell all the civilians who bring her rocks that what they have found is not a meteorite—this time was different. “Within minutes—within seconds—I knew that this was it. It was a real one,” Sirbescu said. It’s good to be like this rock. Keeping doors open. Maintaining a rich inner life. Staying strong. Being a real one. “Nobody sits like this rock sits. The rock just sits and is.